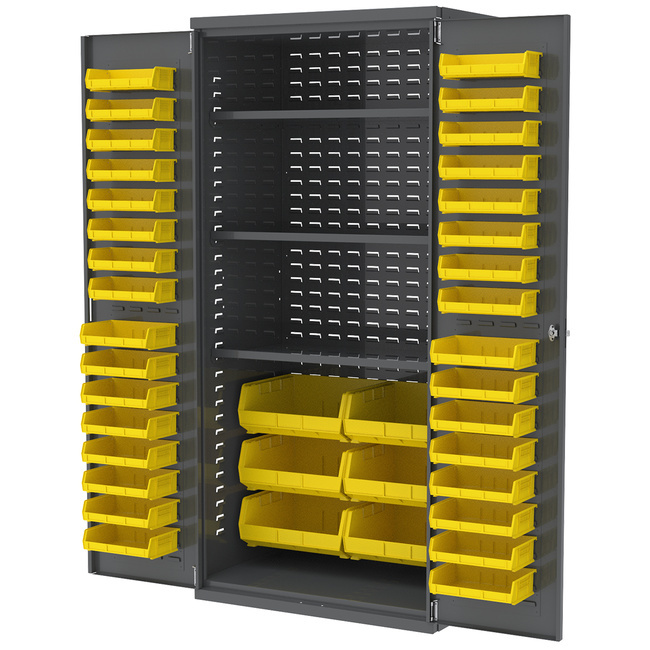 Akro-Mils, a North American leader in storage, organization and transport products, is expanding its line of industry-leading AkroBins® with the addition of two new bin models — 30232 (5-3/8” L x 4-1/8” W x 3” H) and 30242 (7-3/8” L x 4-1/8” W x 3” H). These new bins offer large storage capacity in a small footprint. The short but wide dimensions of the new bins are perfect for desktops and workbenches, and the bins are designed to fit securely on the doors of Akro-Mils’ Bin Cabinets. With the addition of these new sizes, AkroBins are now available in 17 sizes and a variety of colors, including Clear. create a complete storage and organization system.